As much as I love traveling, I freak-out when I have to pack my travel outfits for a trip. There were days when I would pack too many clothes even for a short trip. Eventually, most of them would return unused. 2016 was a pleasant travel year for me. Over the course of the year, I travelled to over 13 destinations across different climate zones, cities and villages of India. All that Solo travel gave me insights into smart packing being a woman. 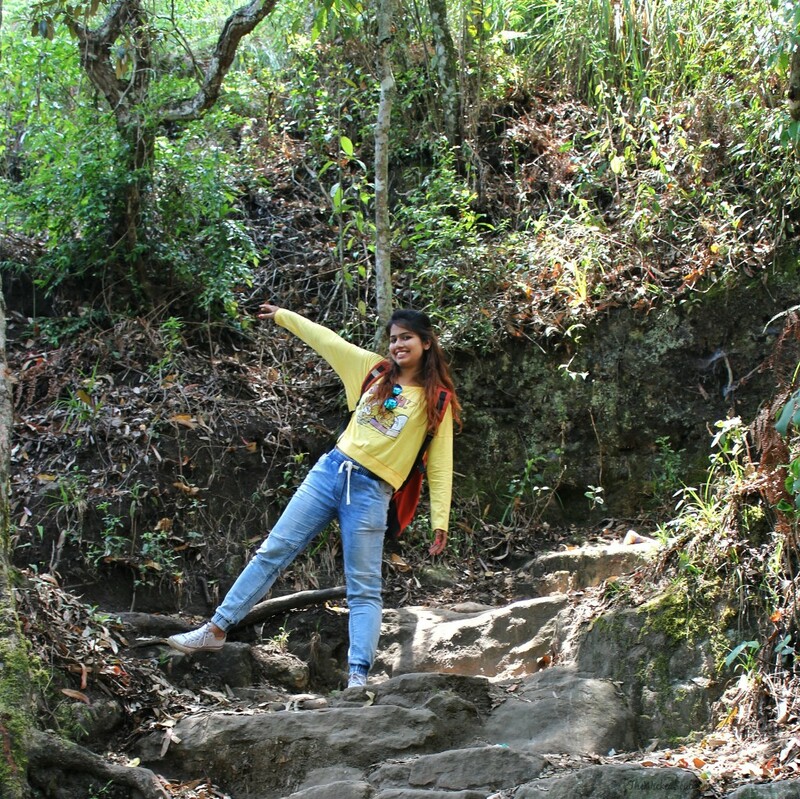 Now, while travelling seems so much fun and enjoyable you need to be comfortable with what you wear too, right ladies? Flaunting a comfortable yet stylish outfit against a beautiful backdrop screaming for a photoshoot is such a win win! 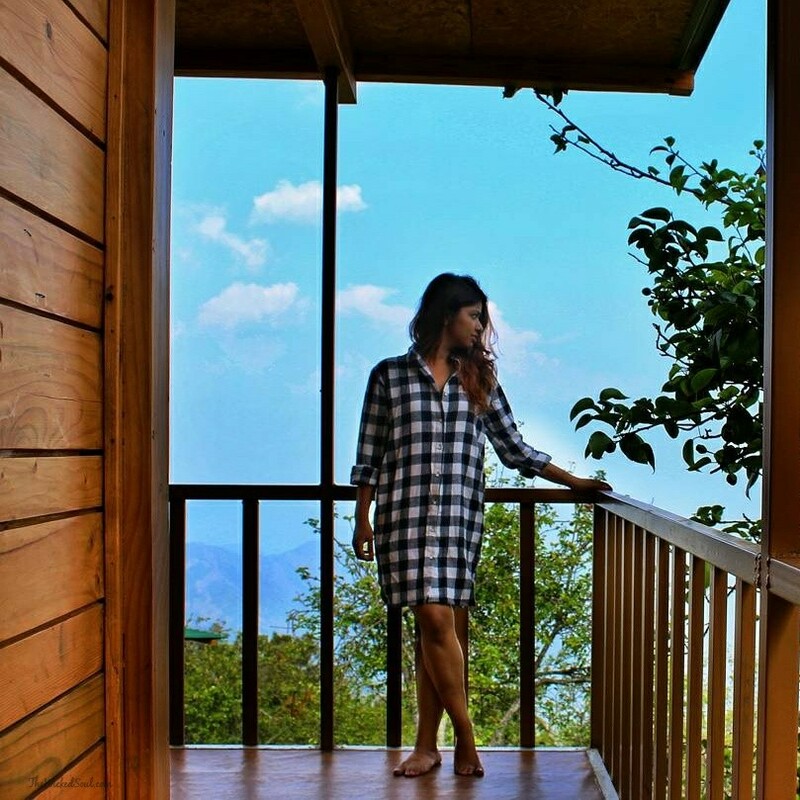 Travel outfits which are ideal for a country like India and can be used multiple ways. They are so basic and easily available in your wardrobe or fit the bill of a Budget traveler. I’ve listed below some smart Travel outfits every girl should carry without getting bogged down with extra baggage. By smart I mean you can pair it in different ways without getting the same look. Ripped Denims: The most basic piece of clothing on any trip is a pair of denims. I am a denim girl and like to run errands in a good comfy pair. Ripped denims are so much in vogue and look very hip. 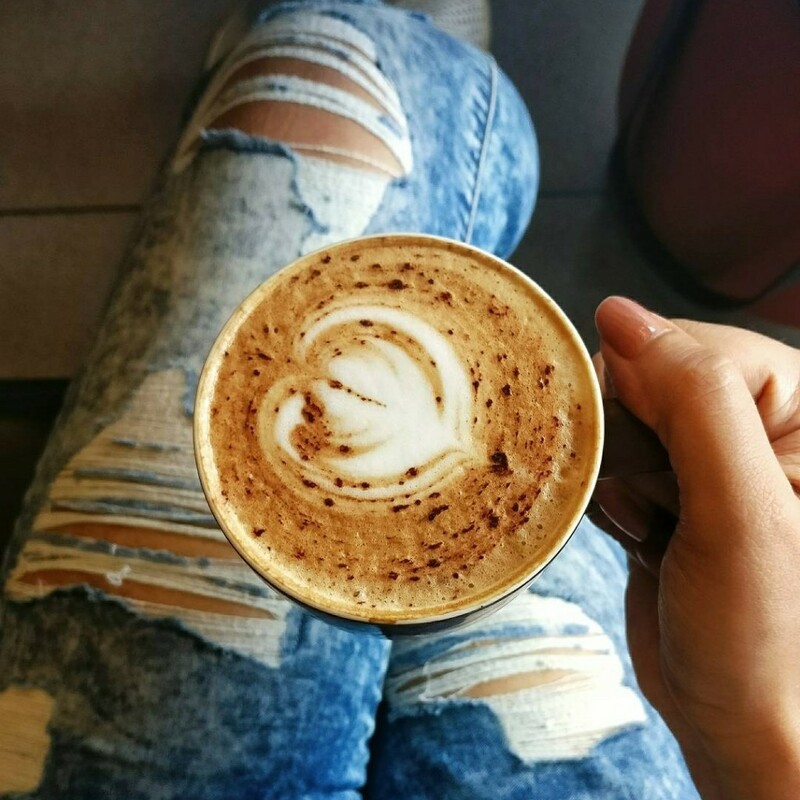 Strolling on the streets of Mumbai or sipping your fave cuppa at a chic café in Bengaluru. There is no need to worry about getting them dirty, it’ll just add to the look. Denims are just one of those no-brainers every girl should carry. Pair it up with a white Tee and sneakers and it makes a good Airport outfit look too, no? Maxi Dresses: The next necessity would be a maxi dress. Maxi dresses are easy to walk in. 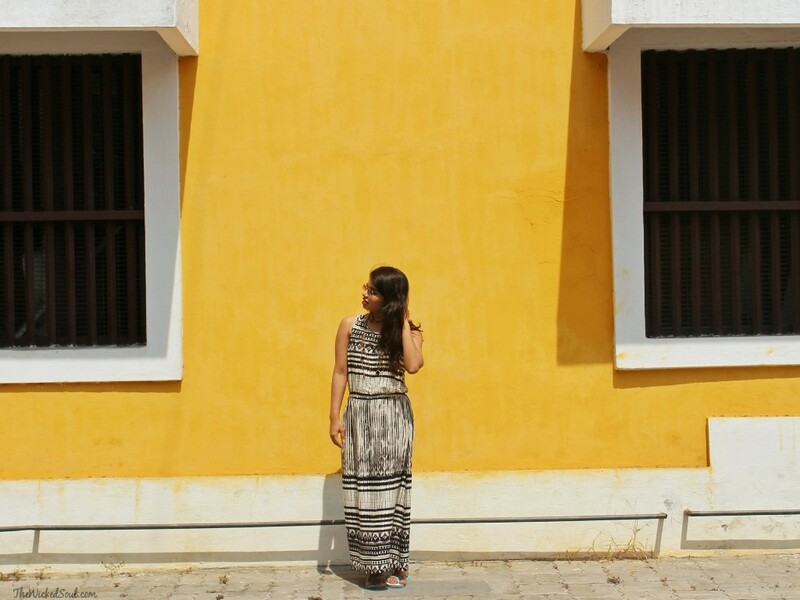 Whether you are strolling on the beaches of Goa or the colorful streets of Pondicherry, it is easy to waltz around in a bright colored maxi dress. I prefer printed dresses for the trip so even if I do spill a coffee on it, my pictures are not ruined. Pro Tip: You can layer the dress with a scarf/ belt or a denim shirt to add a different look for another day. 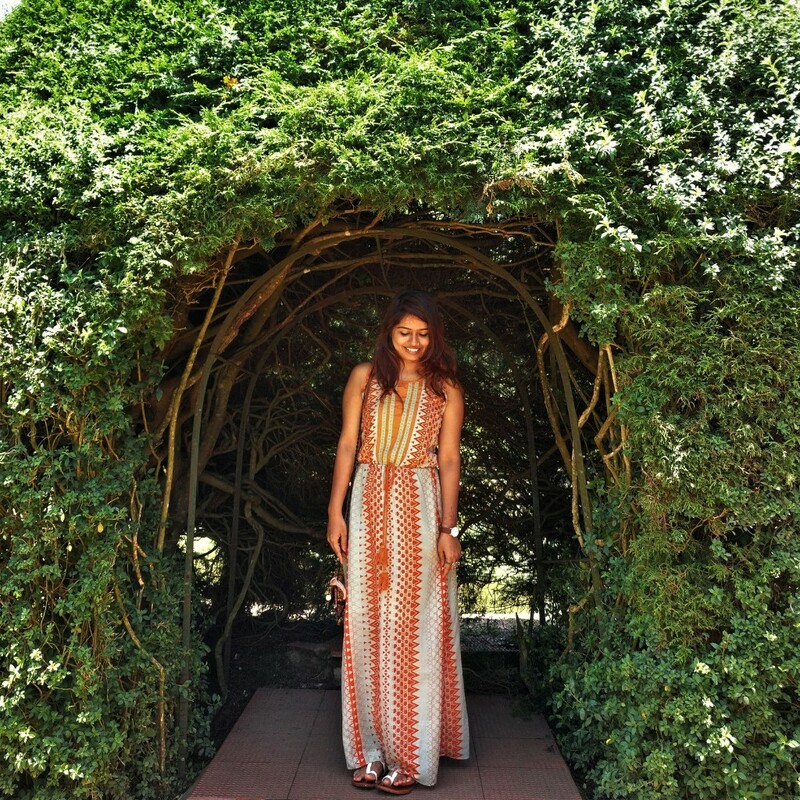 Some Maxi dress inspo right here. Shirt dress: Shirt dresses make a good outfit if you are running late to explore a new place or going shopping. They are cozy, airy and not much of a fuss to dress up. They are perfect for a lazy day. Or even when you are running late for your flight. You can also pair them with a pair of jeggings & a belt to style in a new look. 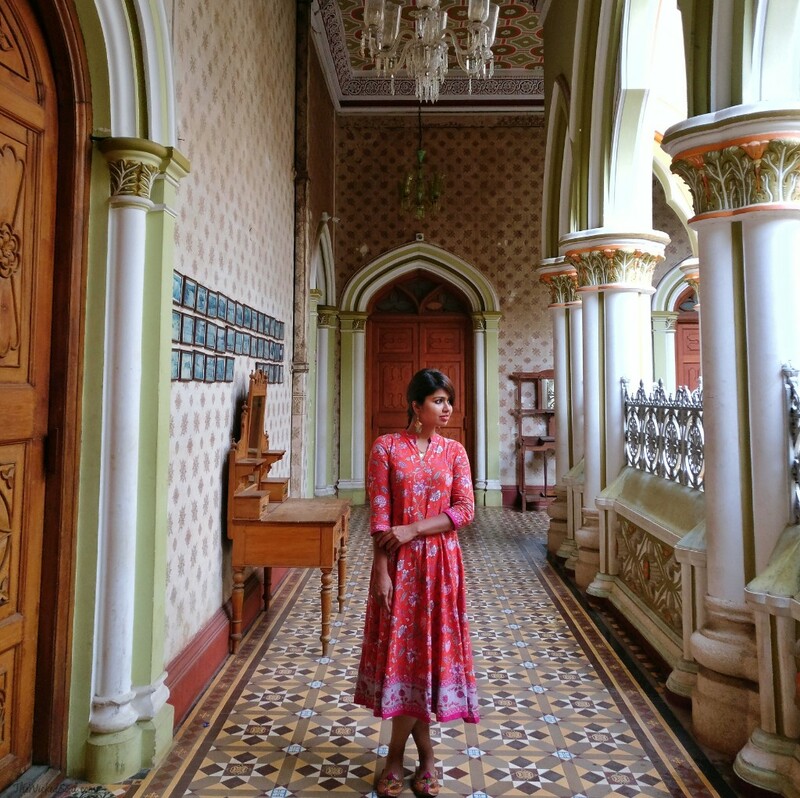 Cotton Ethnic Kurta:Travelling in India is a bit tricky for us girls. A cotton kurta is safe for travels. Paying a visit to India’s largest mosque Jama Masjid in Delhi or wandering around in Bangalore Palace or the pristine Golden Temple in Amritsar or a quaint Village in Tamil Nadu; there is no outfit safe and comfy for travel as the Cotton Kurta. The kurta is extremely handy in a country like ours where you come across many cultural places and western wear might be formidable. Pro tip: A slightly longer kurta can be worn as a dress. 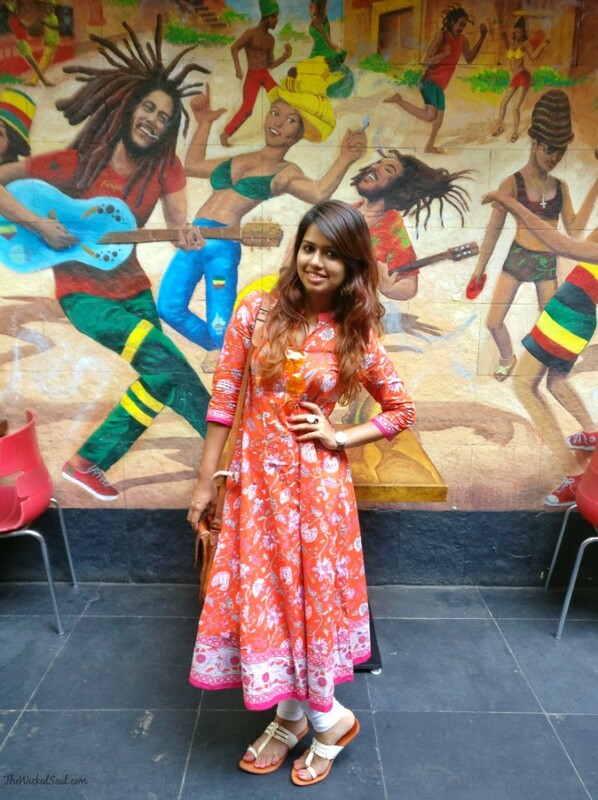 I ditched the leggings on this Anarkali kurta to make a great looking dress 🙂 find a similar Kurta here. Joggers: As much as I love dresses I always feel good in a pair of Joggers. They are cool and versatile. Just as the ripped denims, joggers are great for doing fun activities on a trip or trekking to a vantage point to get a view of the city. It keeps you comfy even in a long flight journeys. It keeps you comfy even during long flight journey. 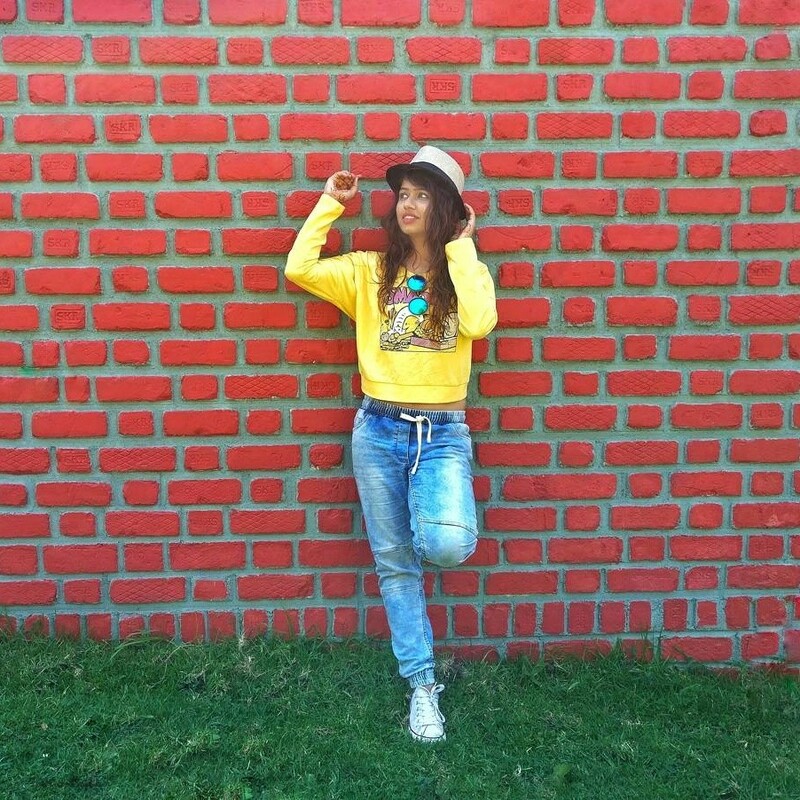 You can pair Joggers with a crop top and maybe a Jacket and flaunt that Swag, yeah! Long flared skirts: Long flared skirts are so easy and simply fun. And if they are long enough, you can also flaunt it as a dress. 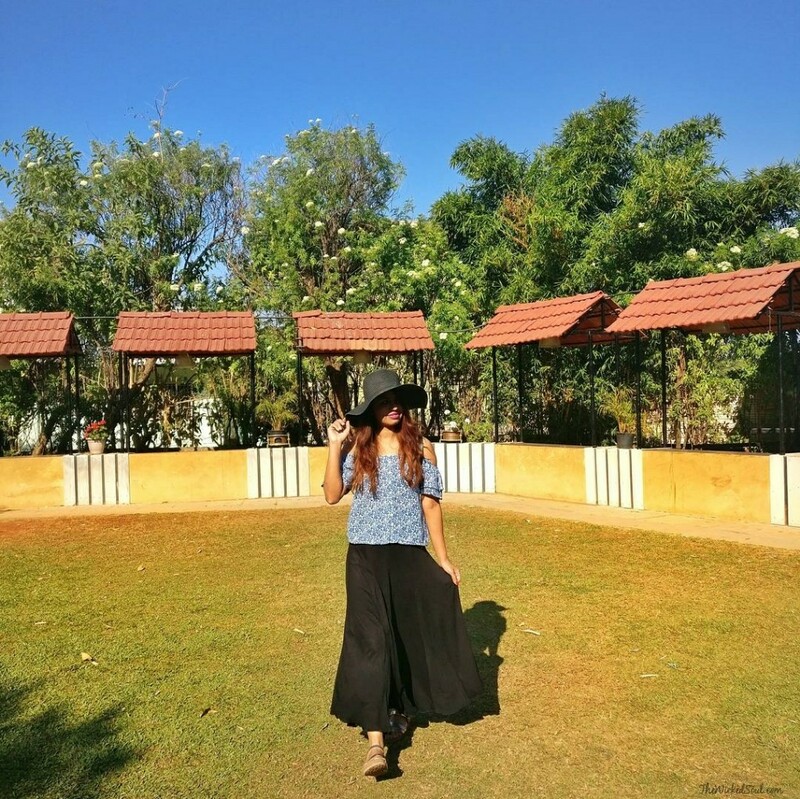 Fashion gets functional :).I picked this black maxi skirt some time last year and it has been travelling with me almost everywhere.Being black, it pairs well with most of my tops seamlessly.Do look out for my next blog and see how I styled this skirt differently to avoid a monotonous look each time. Do you feel I have missed something here? Name one travel outfit which you cannot do without. The one that is your absolute must have. Liked this post? Share it, Pin it! I always prefer to read magazines, blogs on my free time. I got a well maintained content in each article you are posting. You have a very good skill in writing. Keep writing greater and sharing it with us to get more. Thanks. And hello again from http://www.thetraveltattle,com! 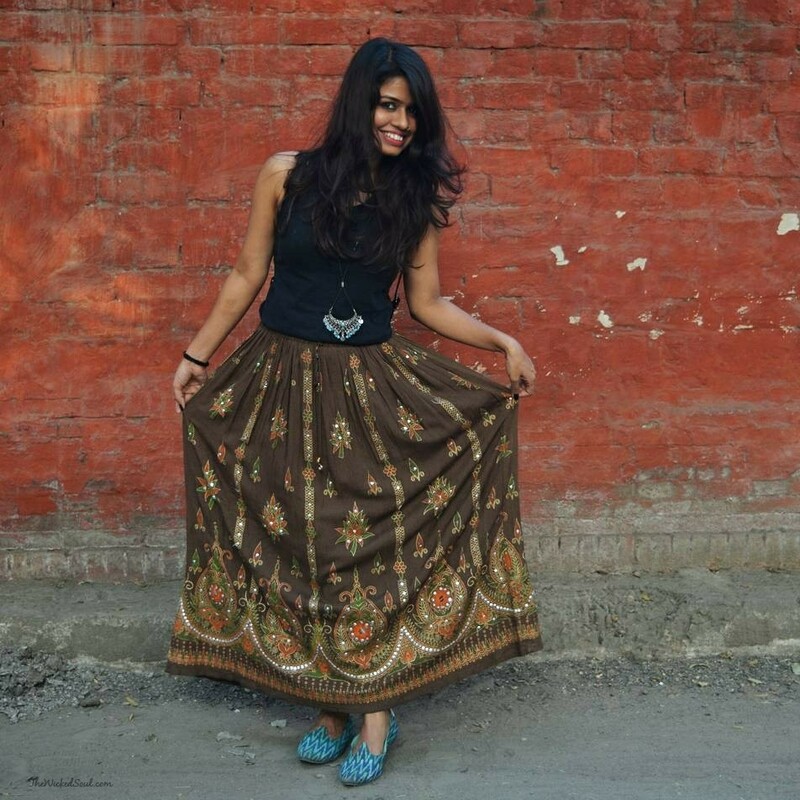 Maxi skirts and dresses were my go to in India, plus a couple of nice scarfs to wrap around my shoulders or tie up to use as bags! Love your wanderlust bag – so cool!